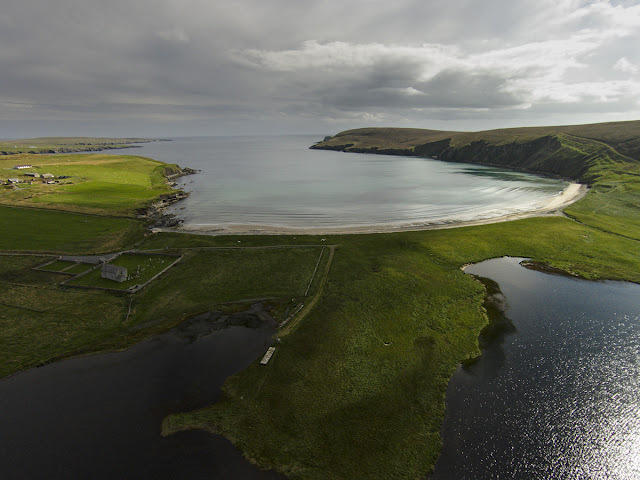 Fetlar is the fourth largest of the Shetland Islands; full of mystery, ancient tales and folklore; it has been inhabited for thousands of years. We decided to capture some of the areas of archaeological interest using cameras suspended from a kite; we then upgraded to a drone for increased flexibility. Currently, 63 permanent residents live on the island. There are seven ancient broch sites on Fetlar; two of the more accessible sites are featured here. Please click on the pages on the header to access photos and videos etc. The contact form can be accessed either from the Home Page drop down menu on the left hand side or look for three white lines - top left of the header depending what device you are using. This website is updated periodically, so if you don't want to miss anything then fill out the subscribe form on the header.